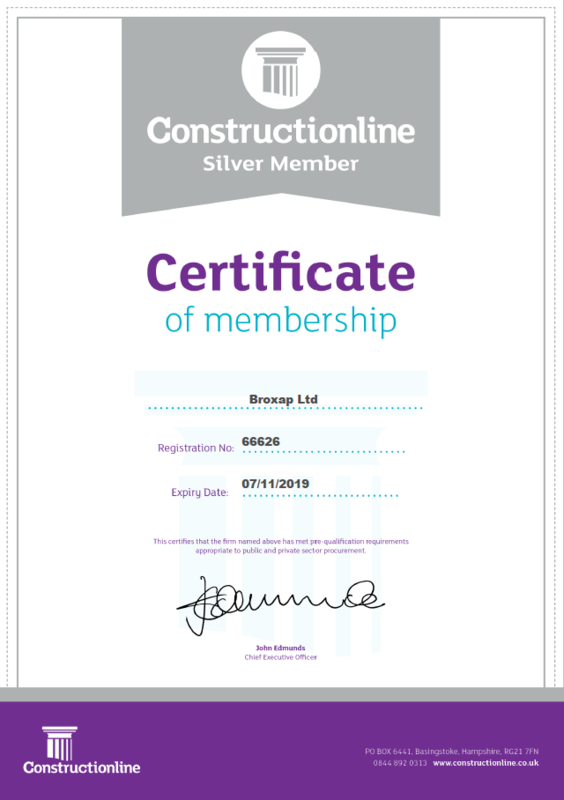 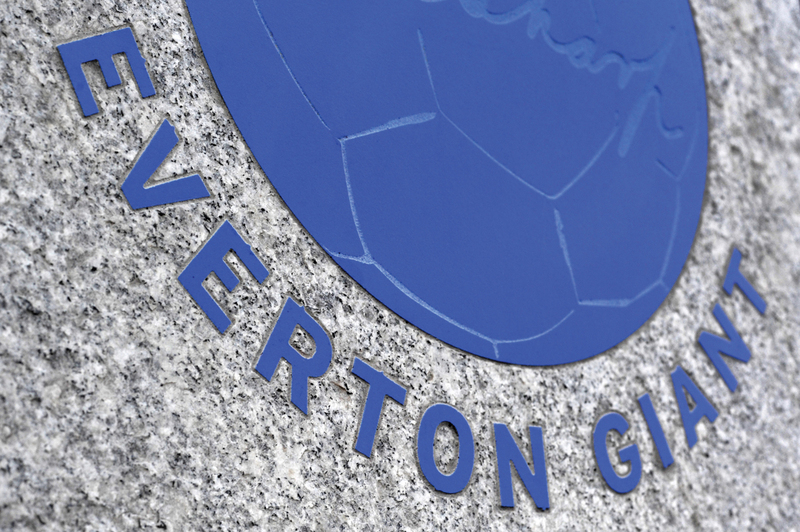 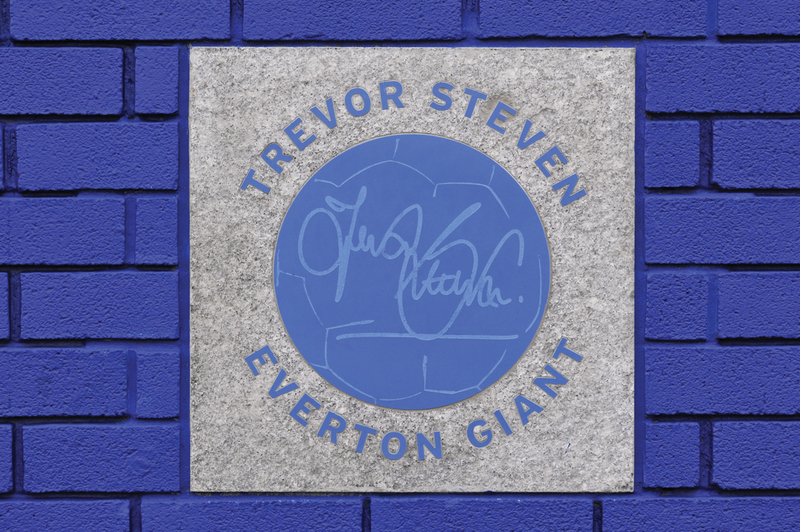 Broxap were asked by Enterprise Liverpool Ltd. in conjunction with Everton Football Club to produce a selection of special granite plaques to adorn the walls of their new ‘Goodison Park Wall of Fame’. 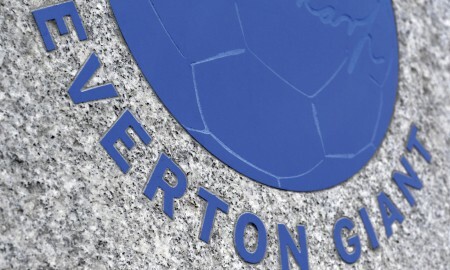 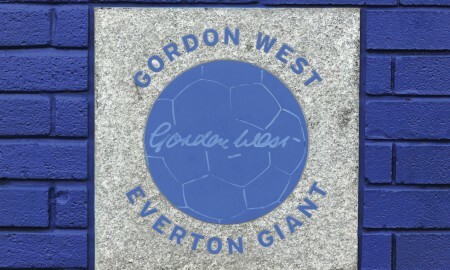 The ‘Everton Giants’ were inaugurated in 2000 when 11 names were revealed. 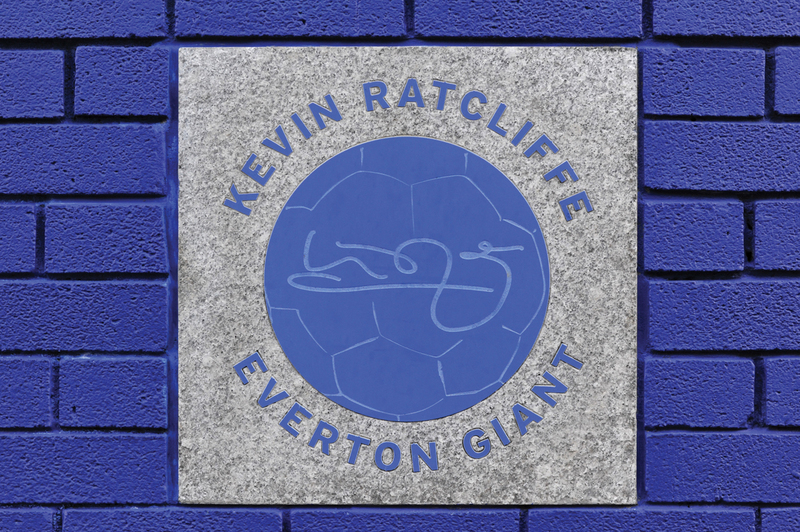 And, following a favourable response from supporters, the Club now names a new Everton Giant once every season. 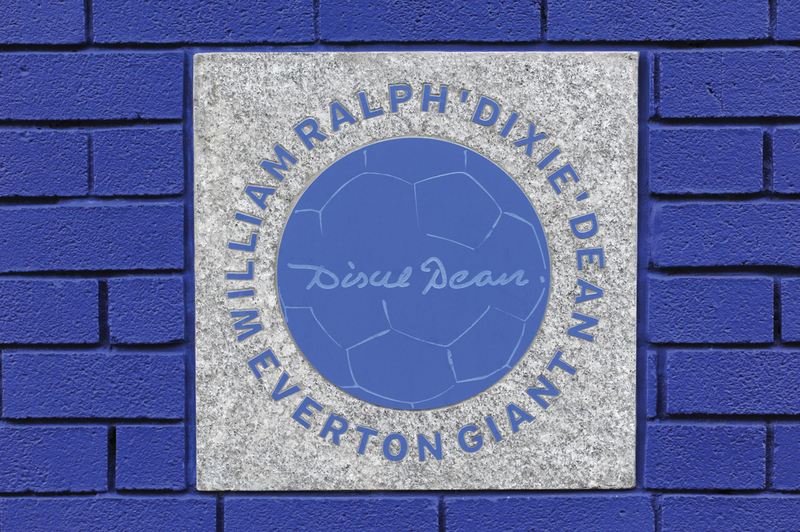 The plaques depict a football in Evertonian blue and feature signatures of famous Everton footballers including the great Dixie Dean. 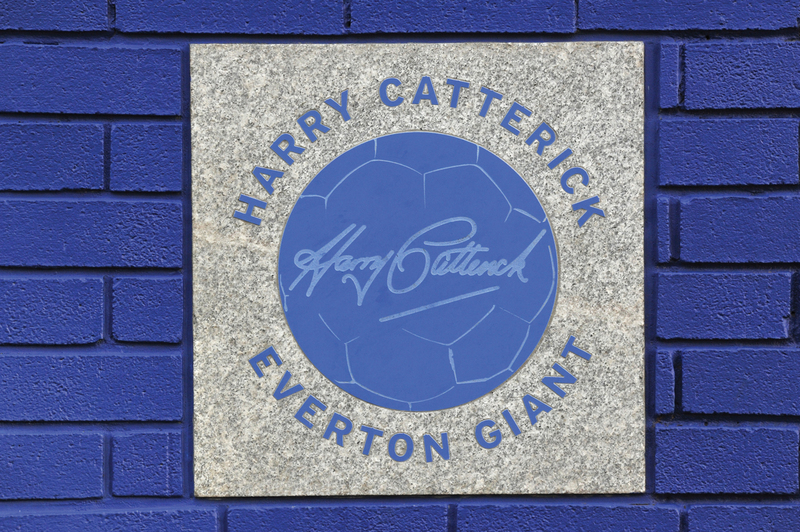 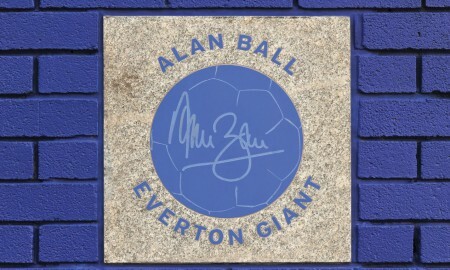 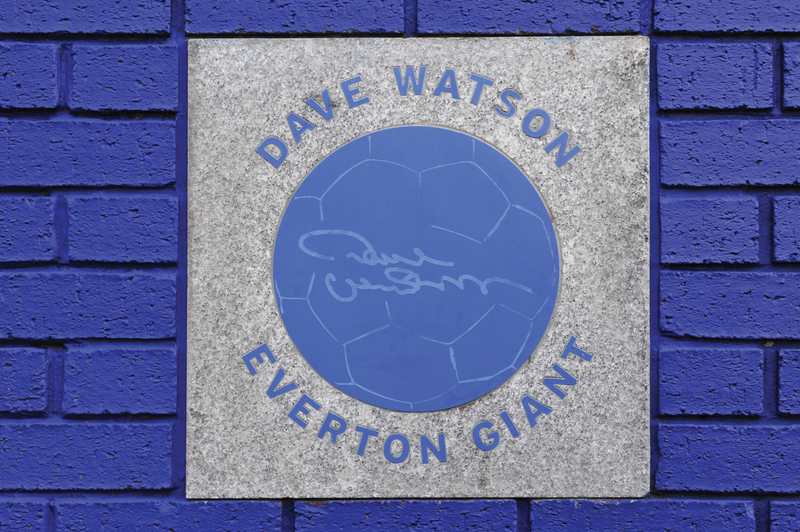 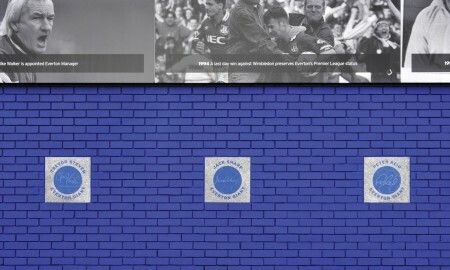 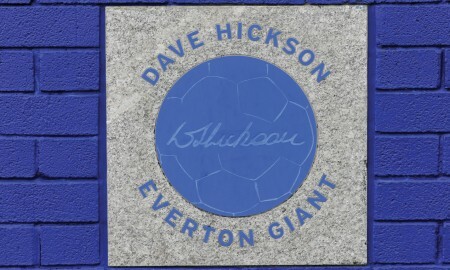 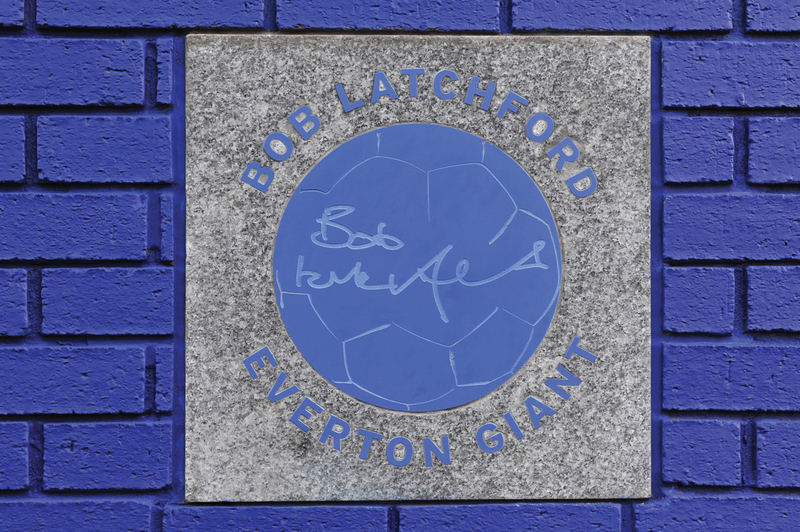 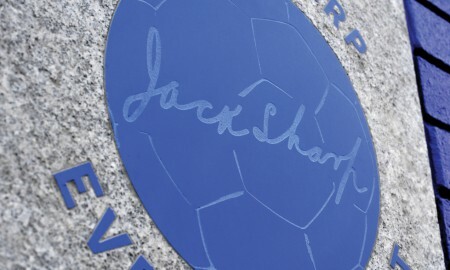 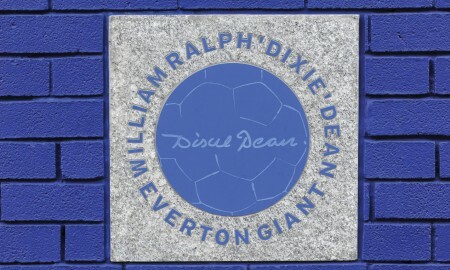 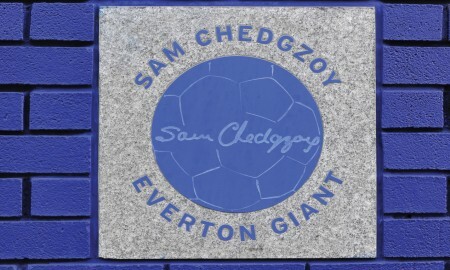 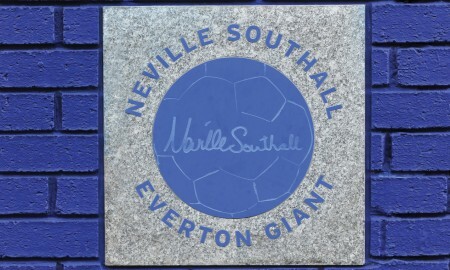 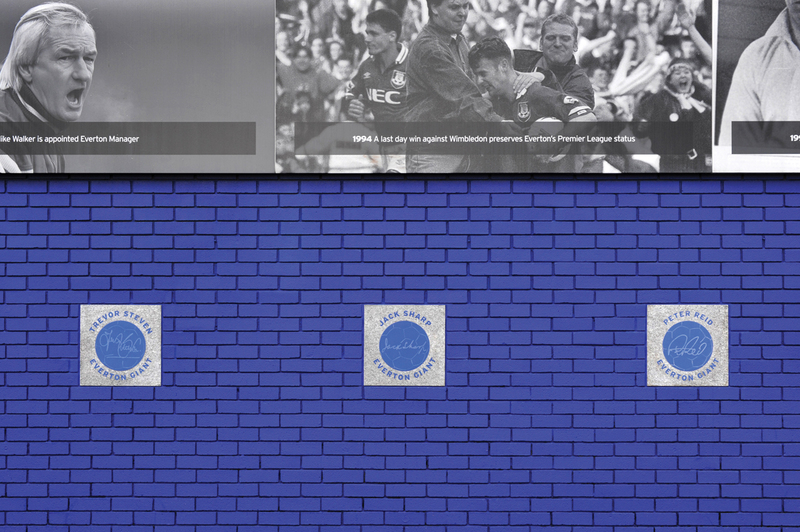 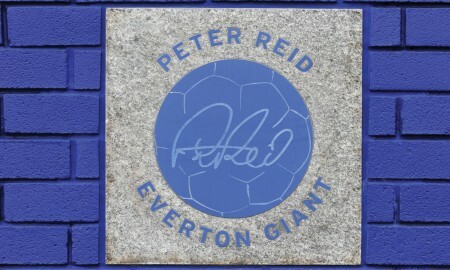 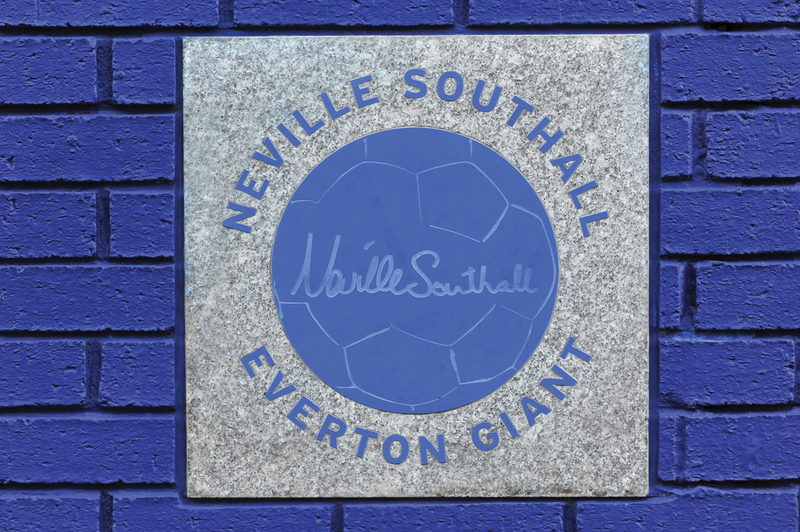 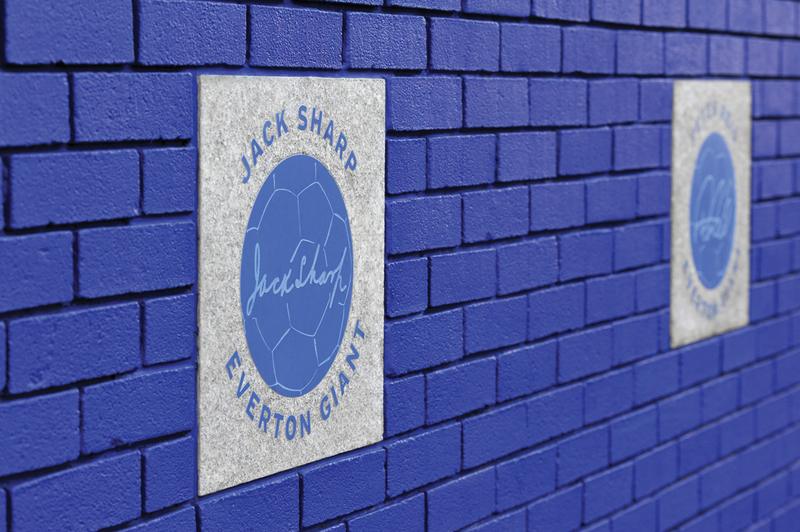 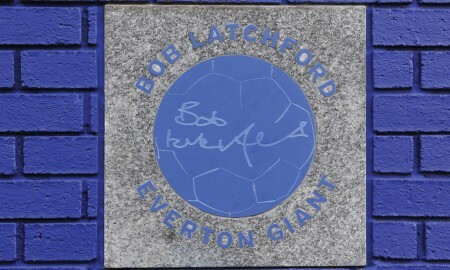 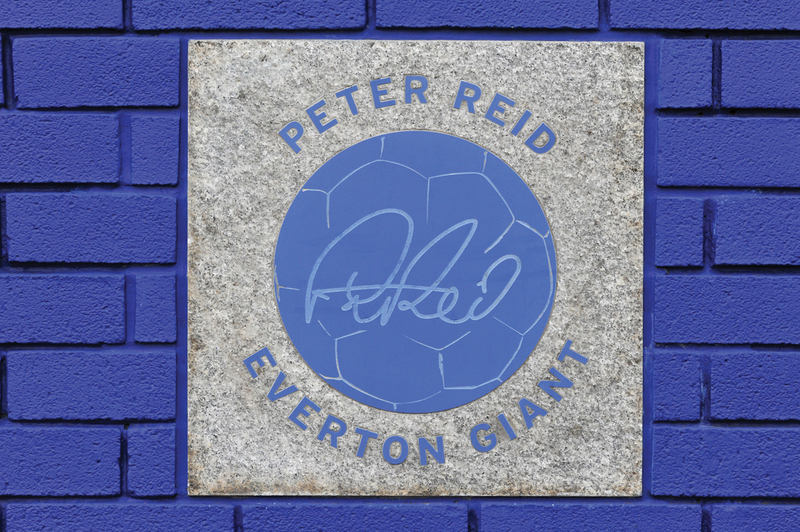 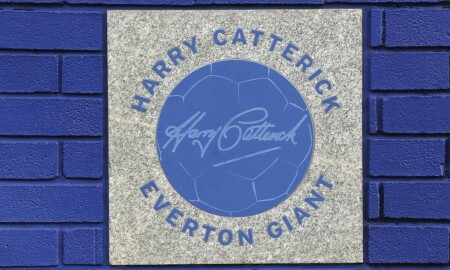 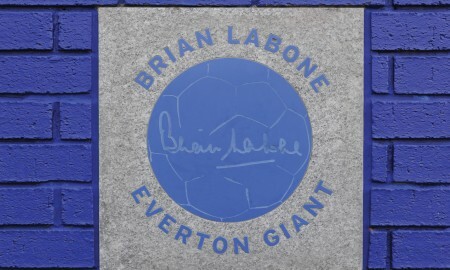 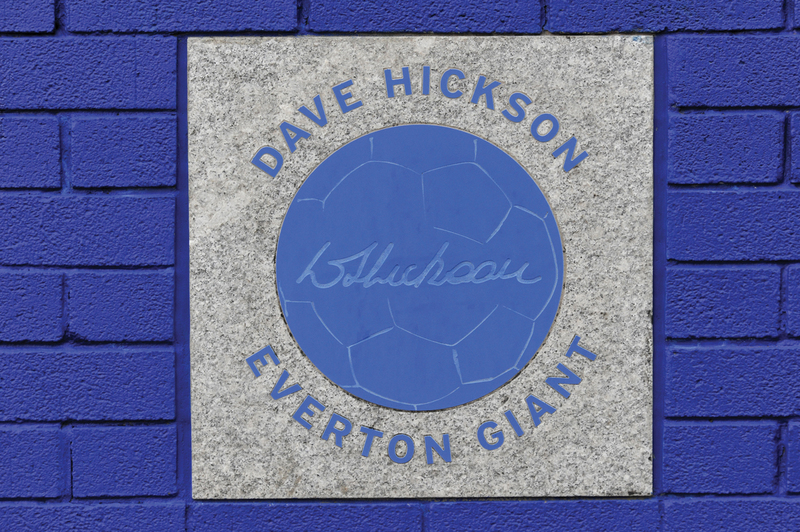 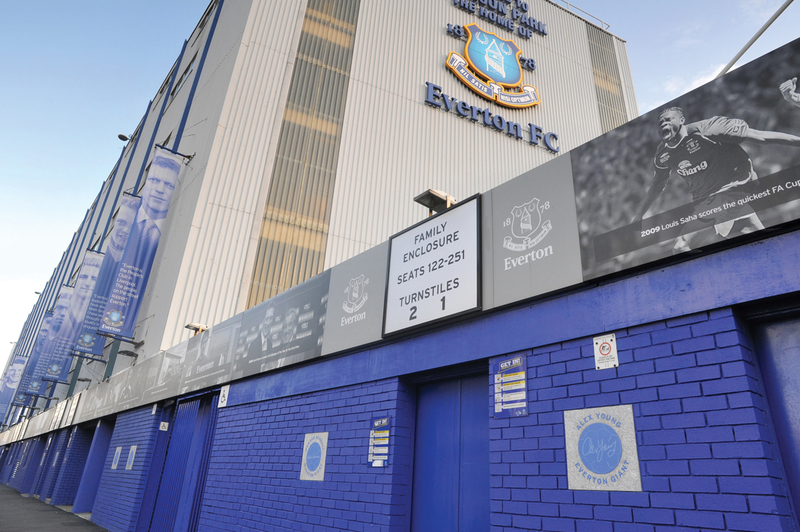 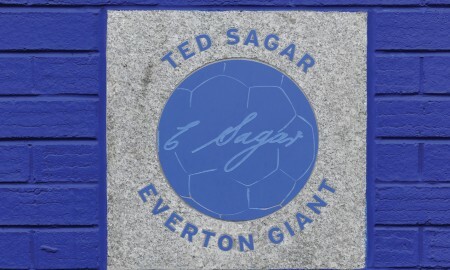 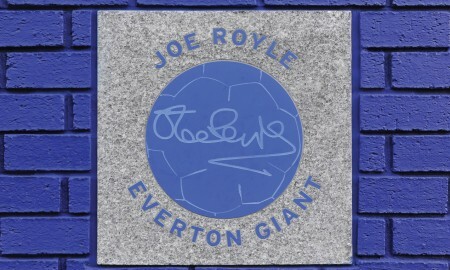 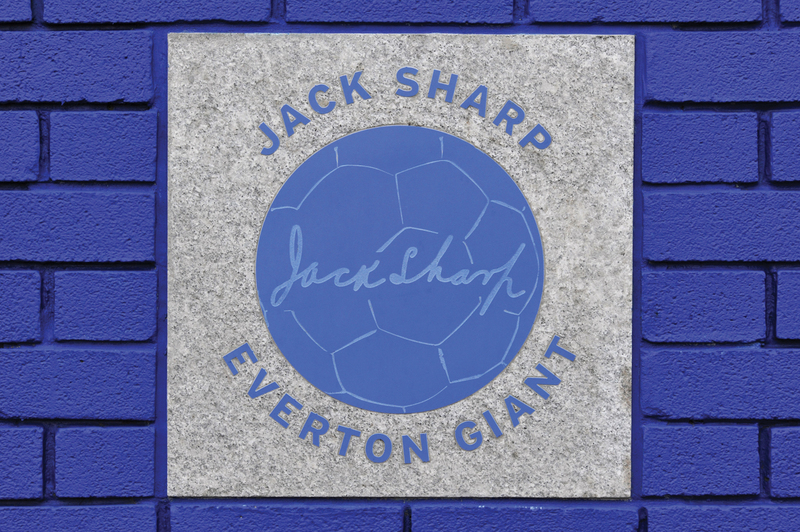 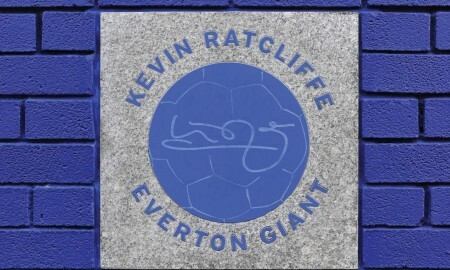 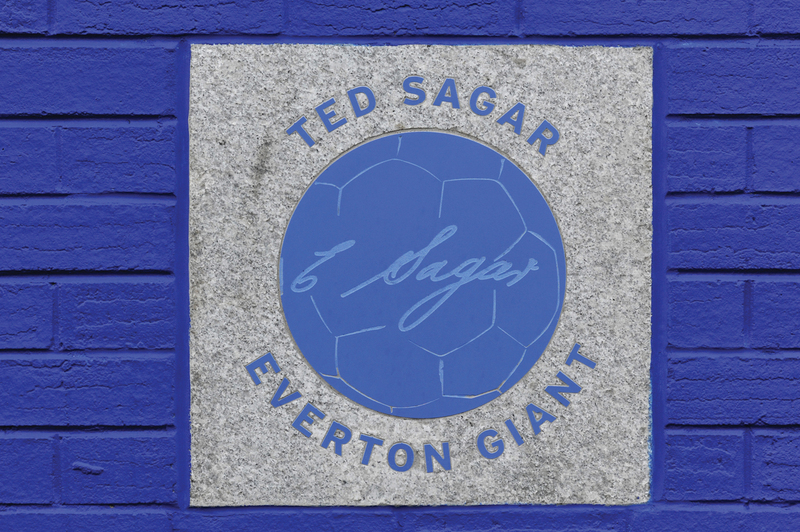 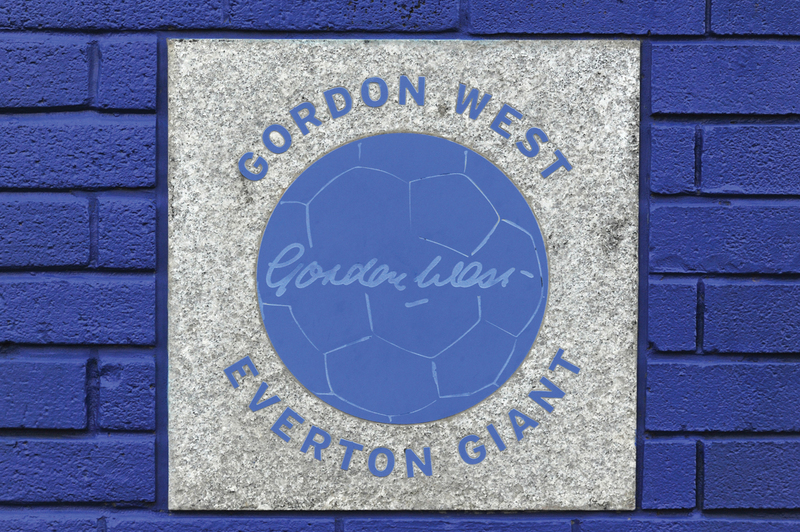 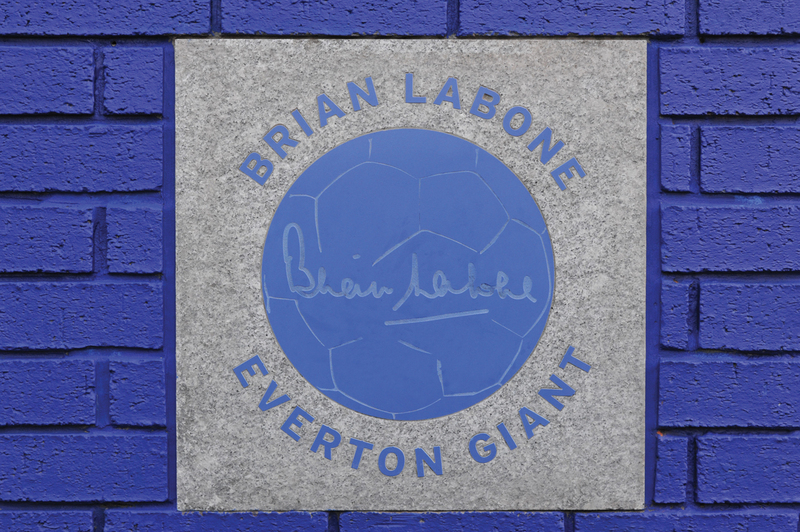 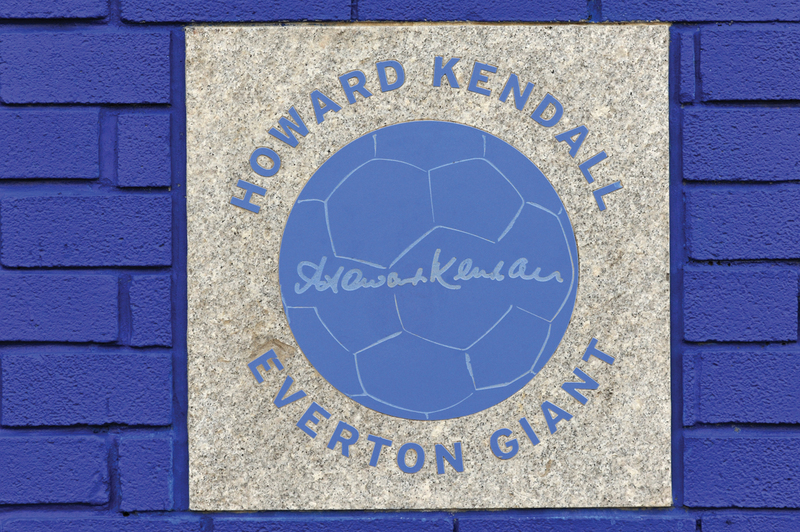 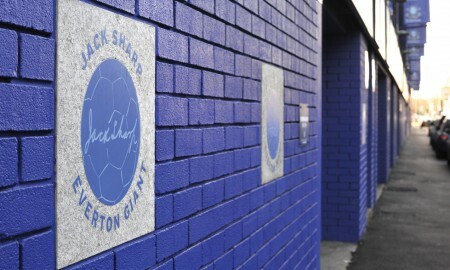 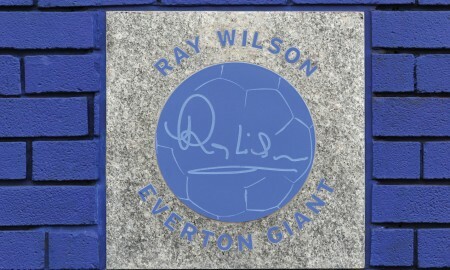 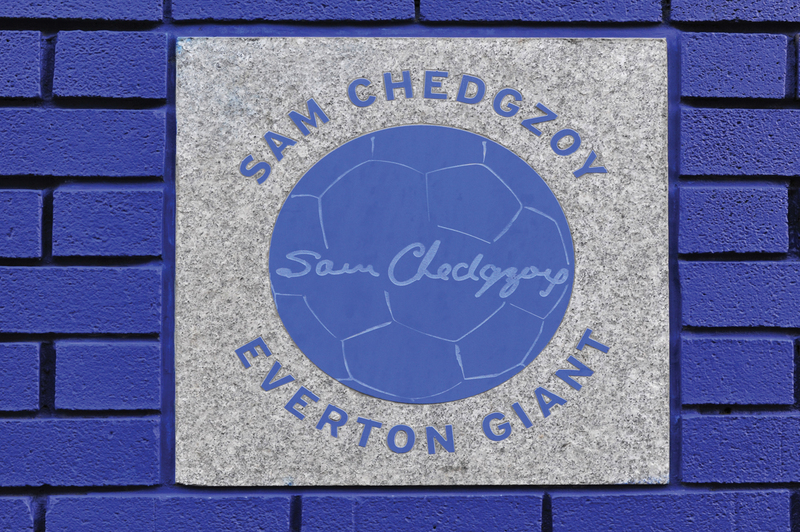 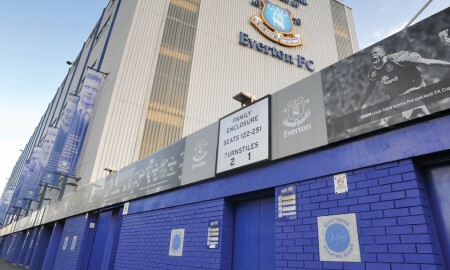 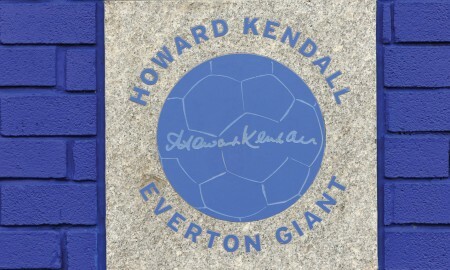 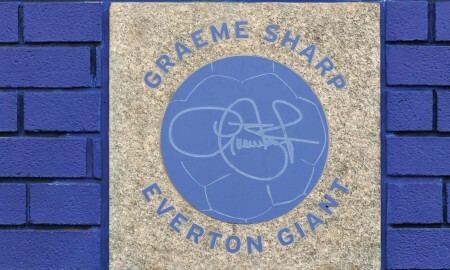 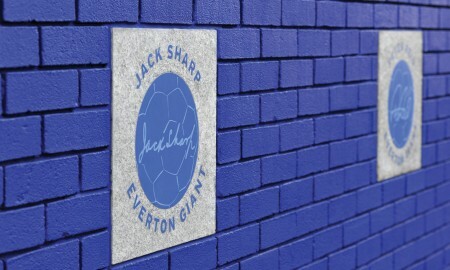 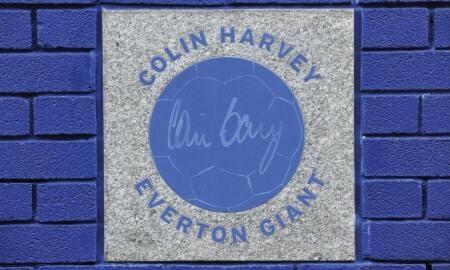 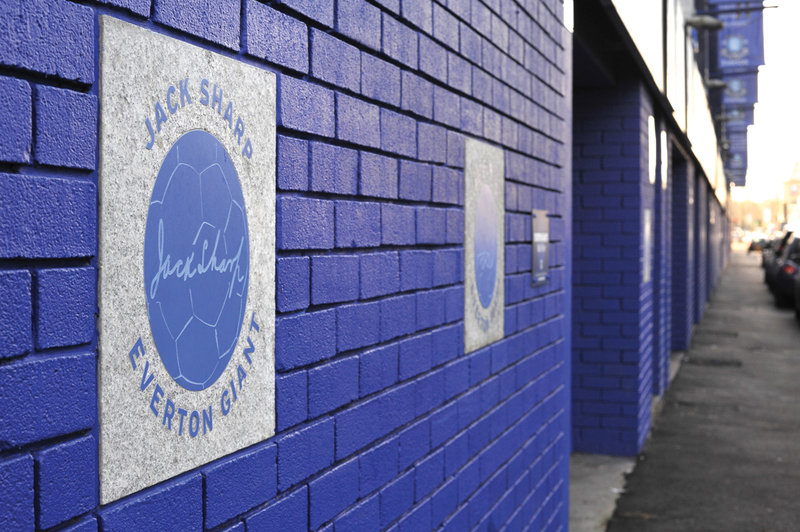 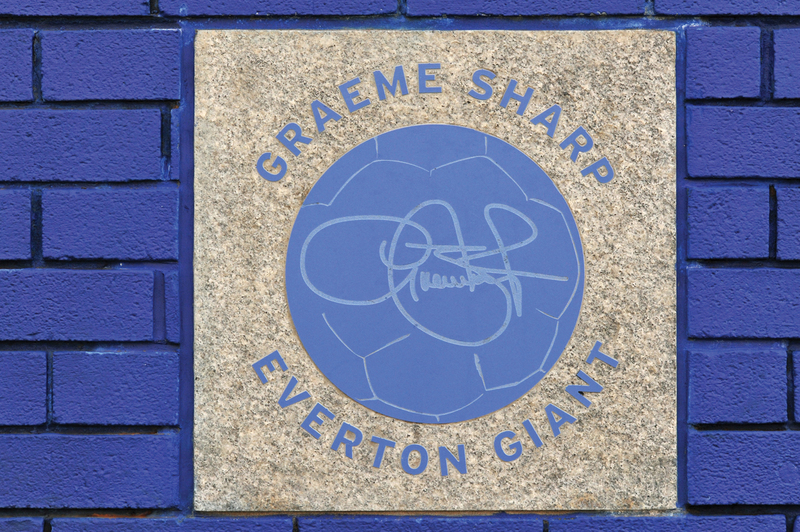 Each ‘Giant’ has a special plaque embedded in the wall of the Goodison Road side of the stadium. 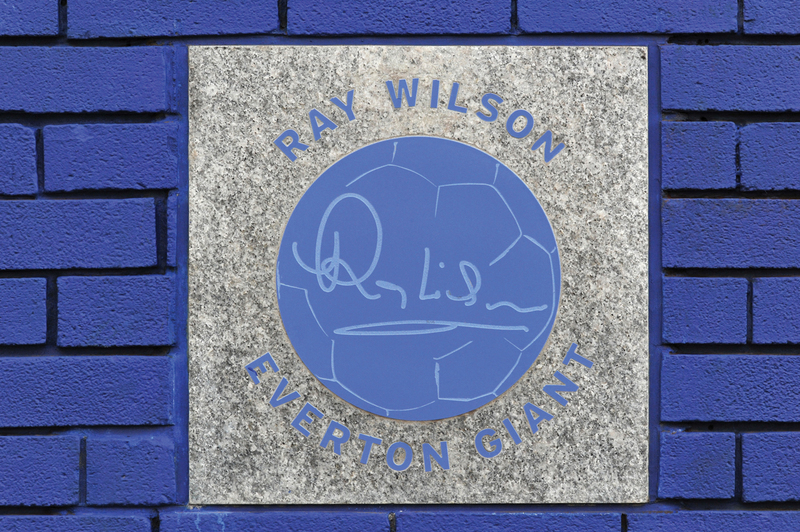 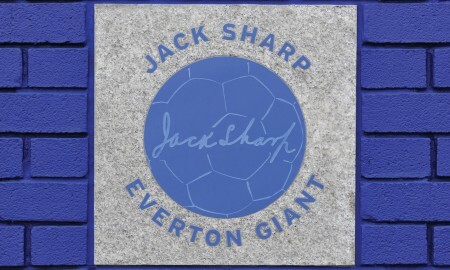 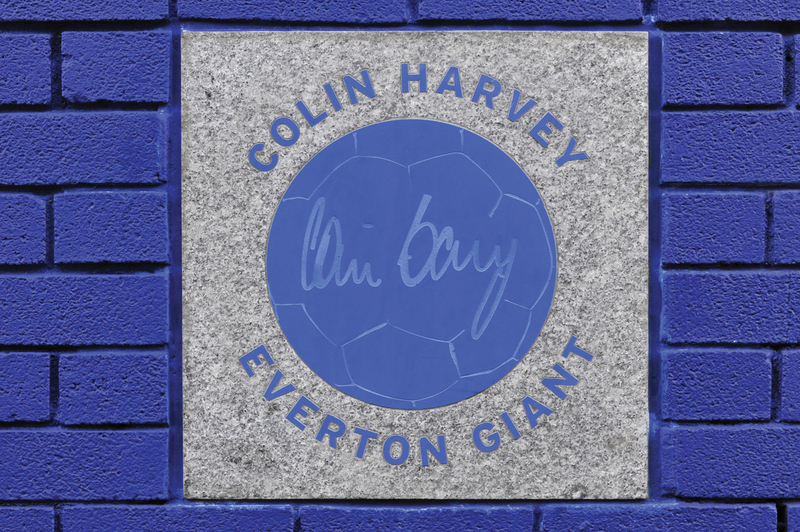 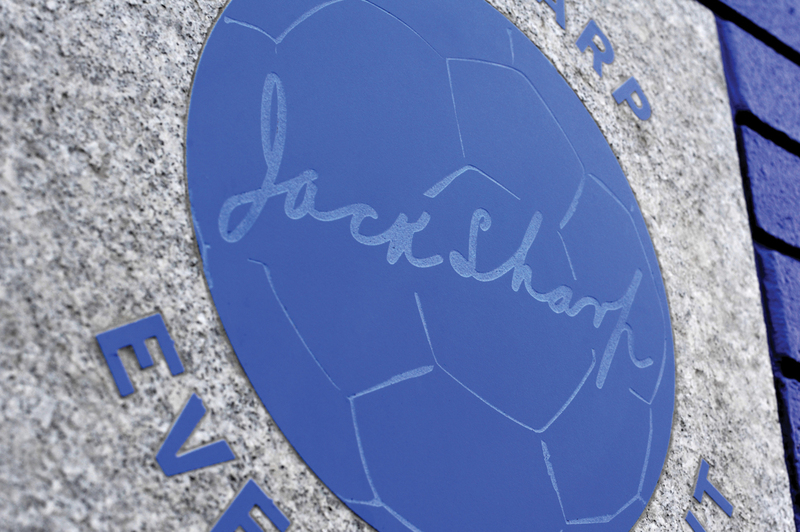 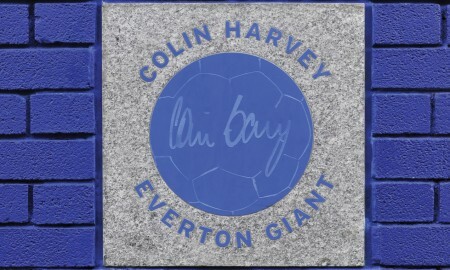 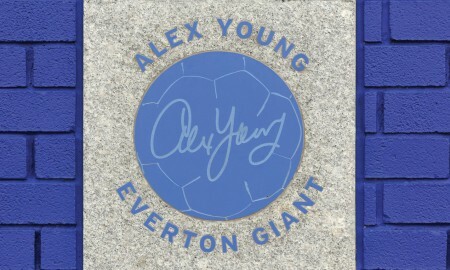 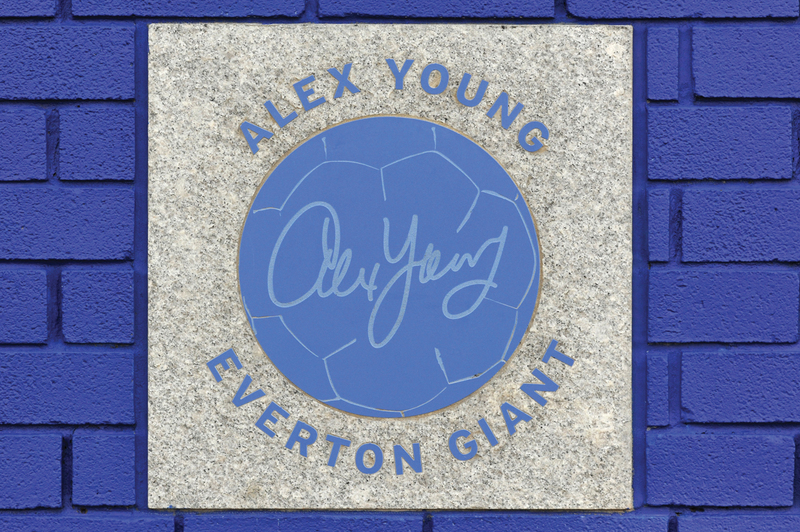 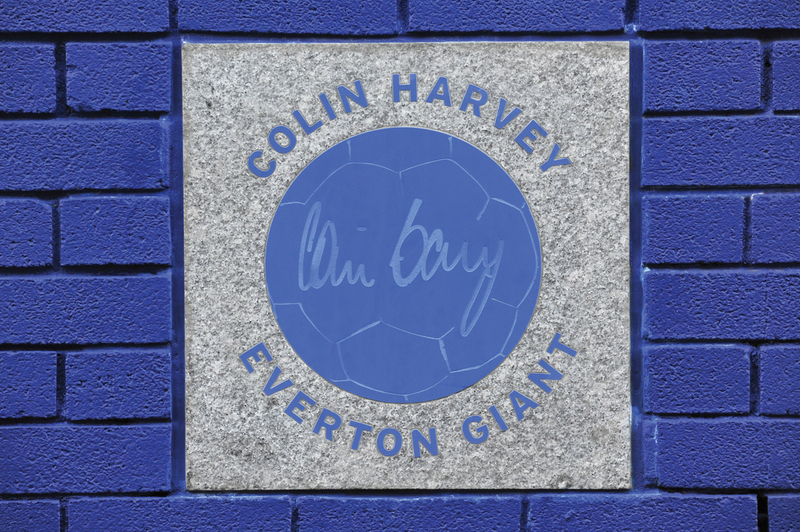 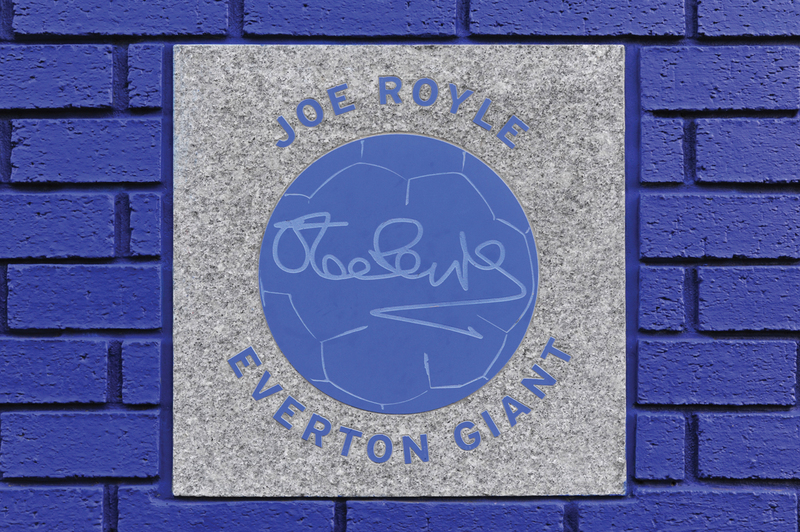 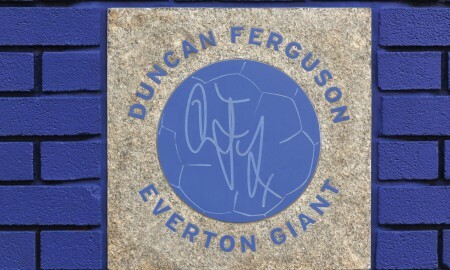 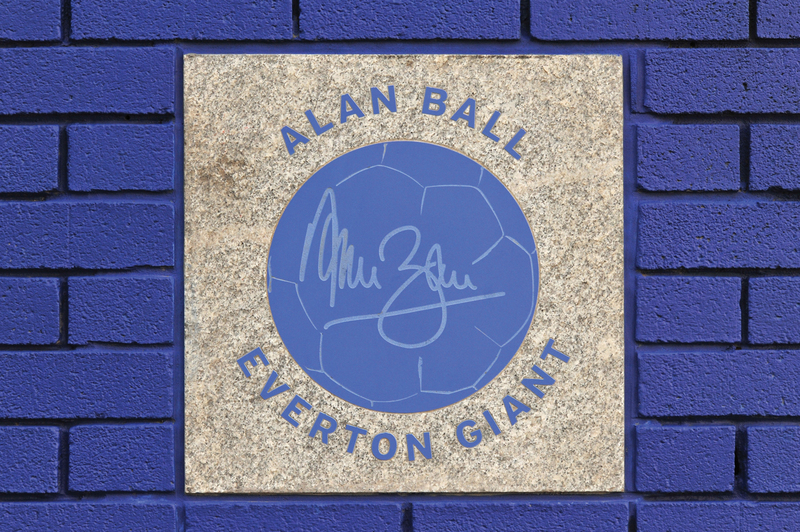 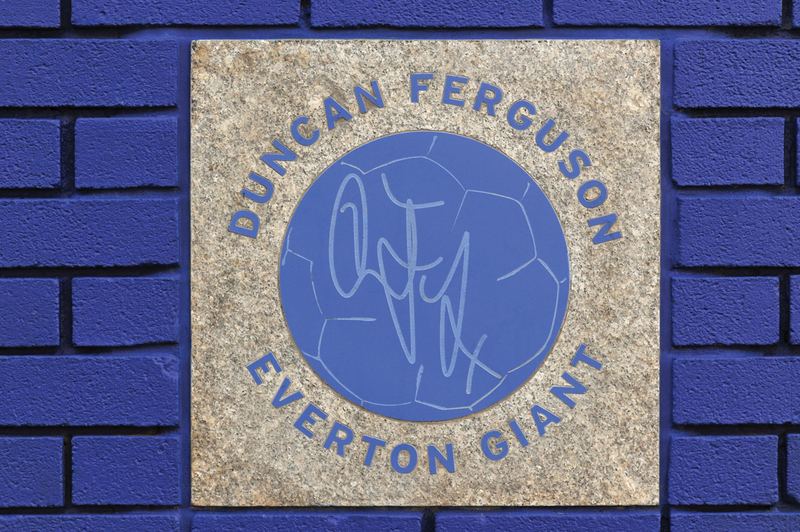 The plaques are 450mm x 450mm x 50mm and constructed from Royal white, flamed finish granite complete with a central blue porcelain football with etched stitching; this is overlayed with a porcelain inlaid autograph of each Everton Giant. 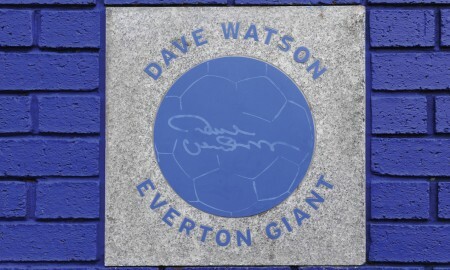 Everton Football Club held a launch night of the Goodison Park Wall of Fame, which took place before a Premier League match again Arsenal where many of the ‘Giants and their families were in attendance.